In the Works – Fish Construction, Inc.
Take a sneak peek at just a few of the projects we're working on now. A new terminal curved to reflect New Orleans’ nickname as the Crescent City is underway and scheduled to open early 2019. 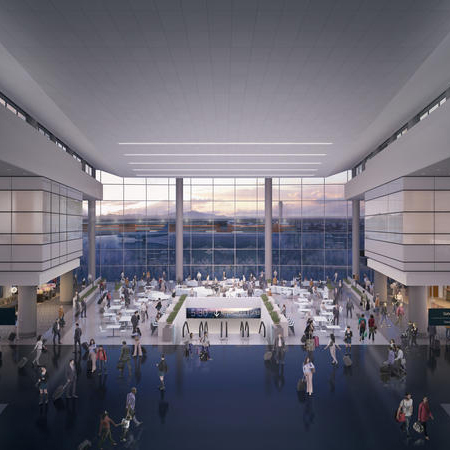 Plans for this $1 billion dollar terminal includes a wide-open floorplan with an enormous central skylight overlooking separate levels for arrivals and departures. Fish Construction is providing all the counters for the check-in areas, 35 gate counters divided between 2 concourses, information displays, and related aviation millwork. We are proud to be part of the team building this world-class terminal and the future of travel to this historic yet transformative city. Salt Lake International Airport is embarking on a bold journey to completely transform its current airport facilities into a grand new modern airport called The New SLC. The planned redevelopment will feature high-tech passenger processing, bright open spaces, and energy efficiency design. 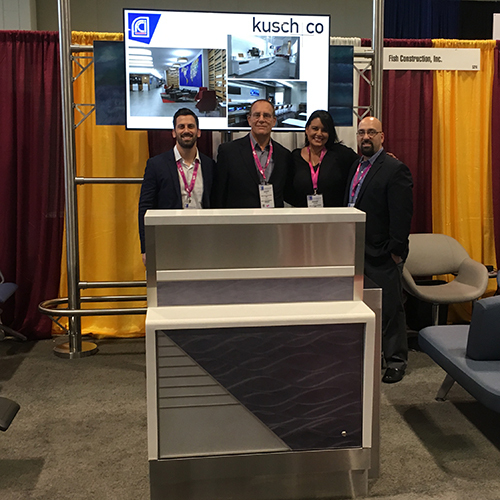 Fish Construction, Inc. has been awarded the millwork package for this project including the ticketing counters, self-check-in kiosks, gate counters and backscreens, CBP booths, exit control counters, information desks, BSO counters, curbside counters, and more. Materials and finishes will be selected to represent the Utah landscape in hues of stone and copper found in the canyons and regional topography of the area. 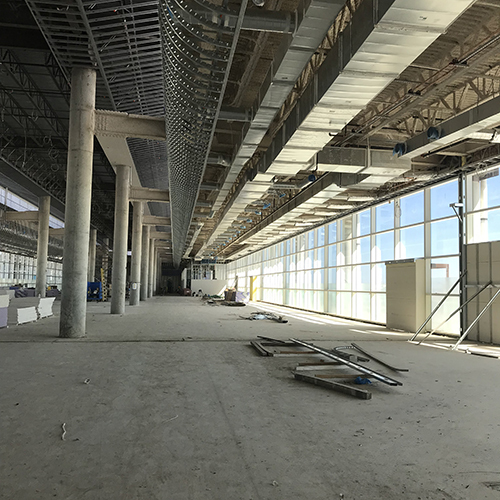 The first phase that includes the consolidated terminal of The New SLC is slated to open 2020. FCI had a very successful exhibit at the recent ACI-NA Annual Conference in Nashville, Tennessee. Thanks to everyone that stopped by to hear about our range of products and learn what our company has to offer.